Do you want to go underwater without getting wet? 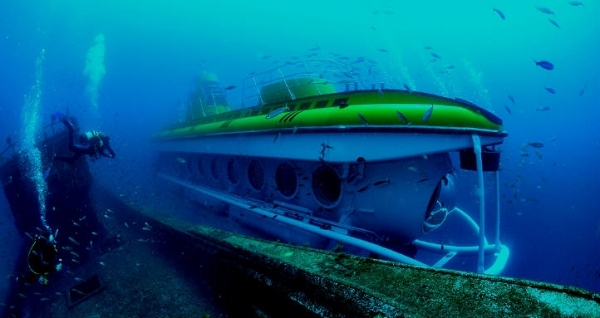 Yes you can by going on a Submarine Safari, where you go 30m (100ft) below the sea and enjoy the beautiful ocean life. In the one hour safari you not only are amazed by the different water creatures, but also can admire the water vegetation from your own personal viewing window, don’t miss the barracuda and stingray.